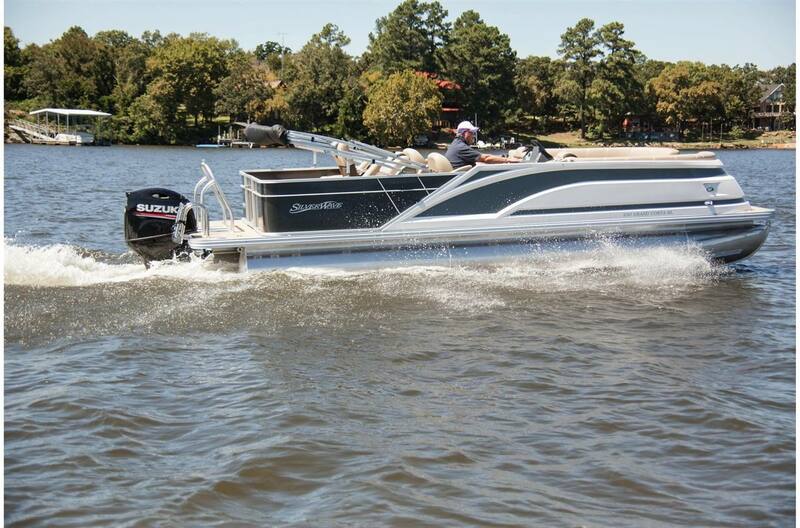 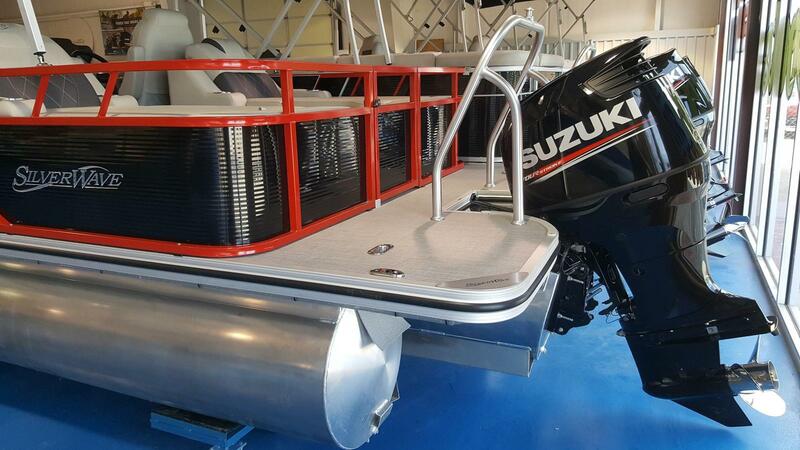 Rule the lake in this 200 HP powered and feature packed Tritoon.. Beautiful and Sporty Black color, Triple Toon Upgrade Package, Lighted Cupholders, Rope courtesy lighting, side mount docking lights, ski tow bar, under gunnel rope lighting, high back chair, Suzuki 200 HP 4 Stroke, and custom McClain Tandem Trailer. 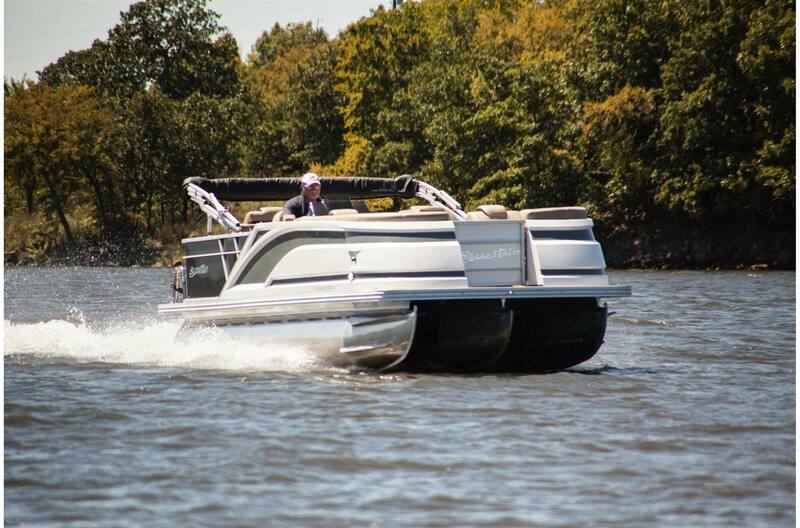 Pictures are for illustration only. 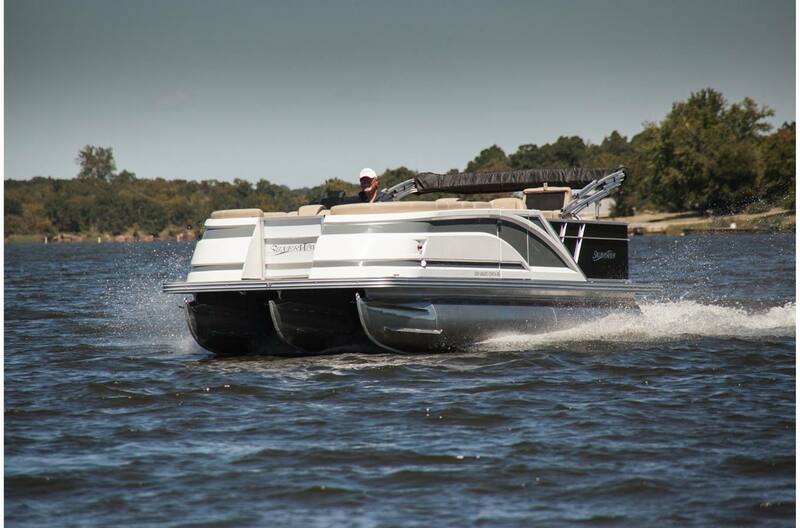 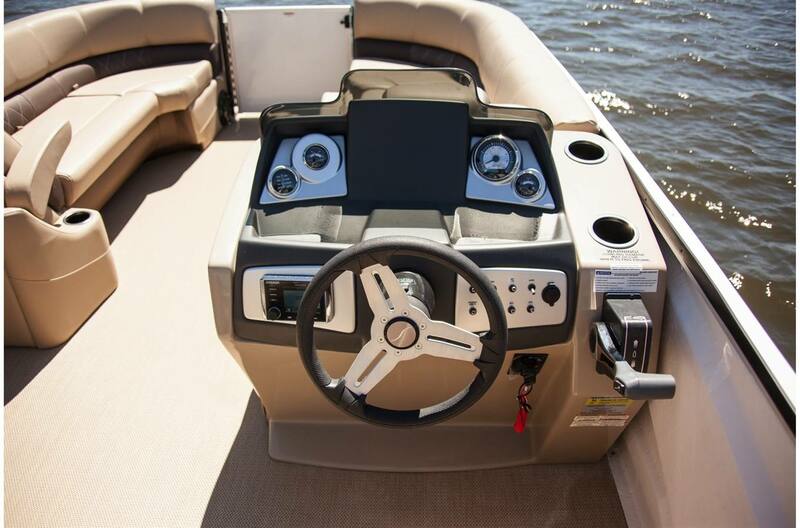 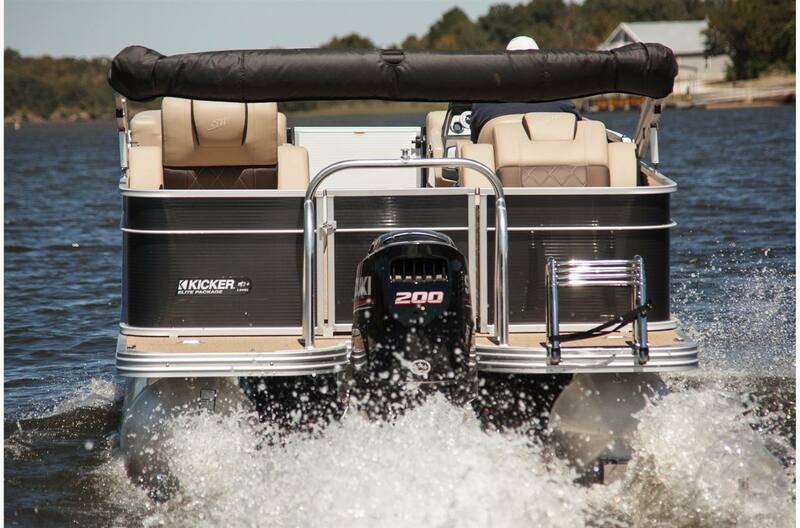 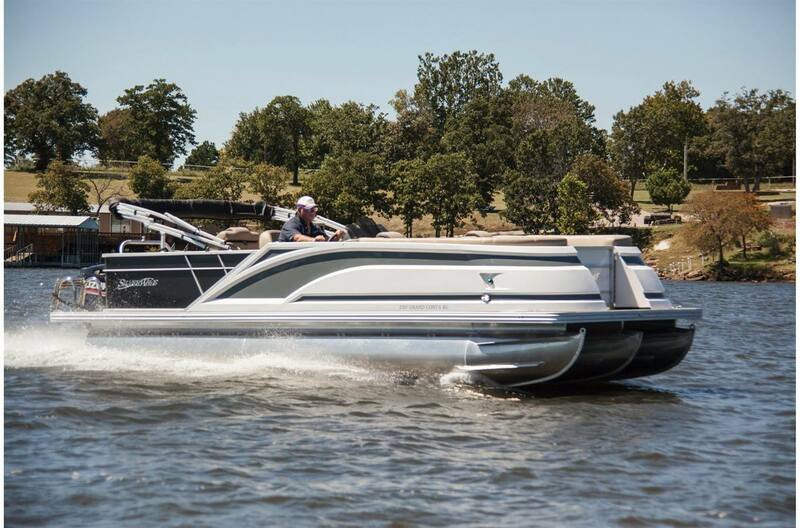 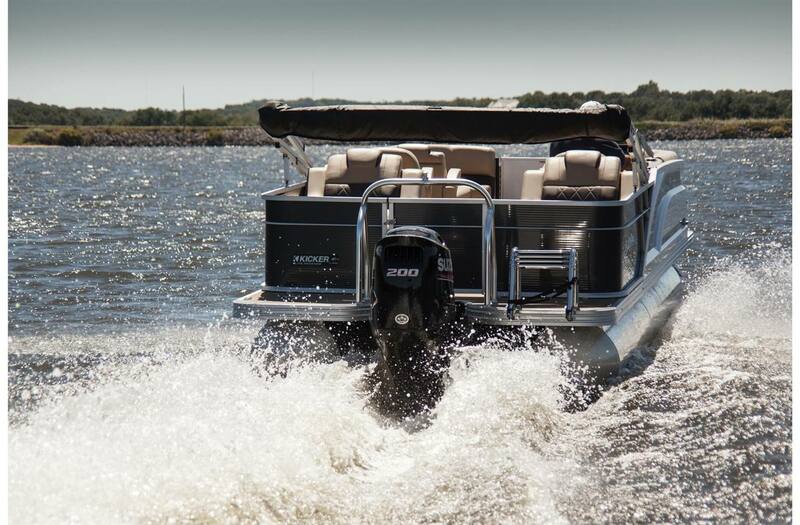 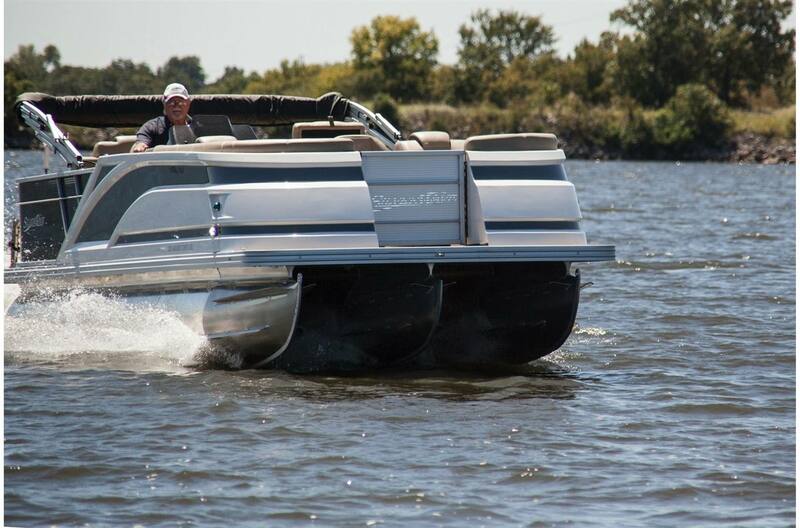 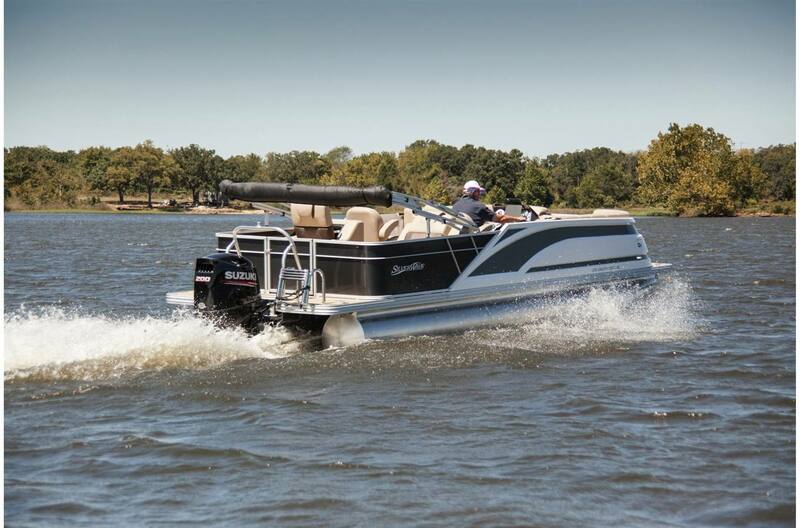 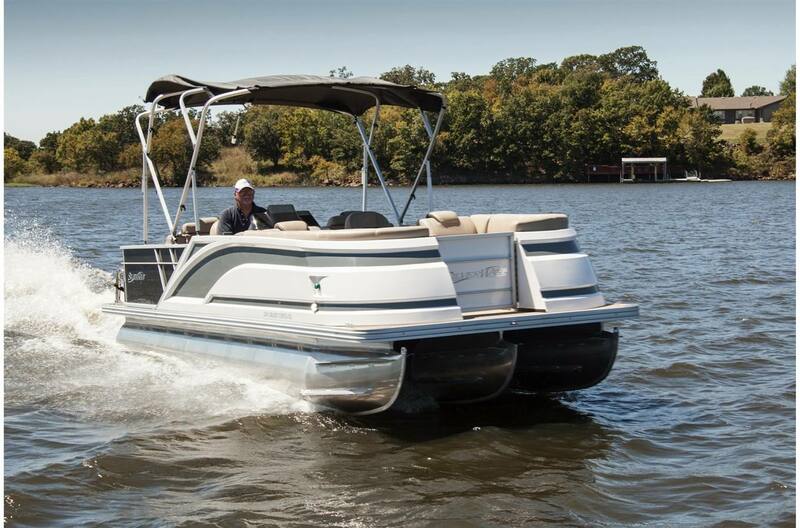 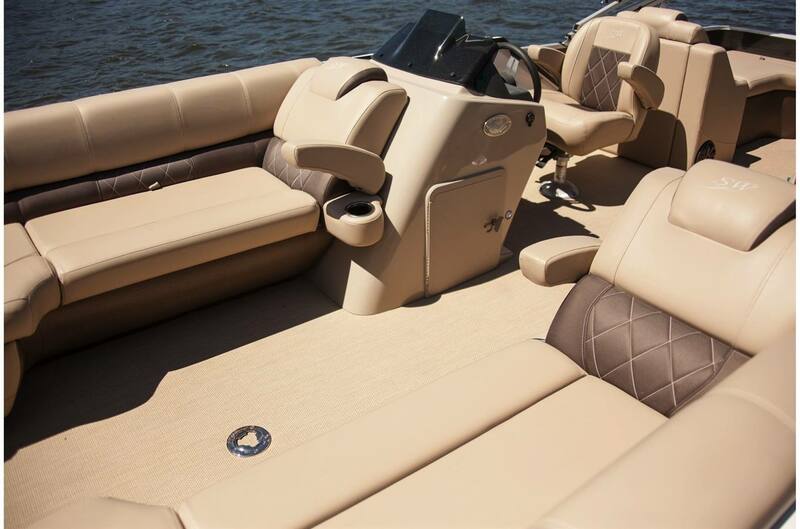 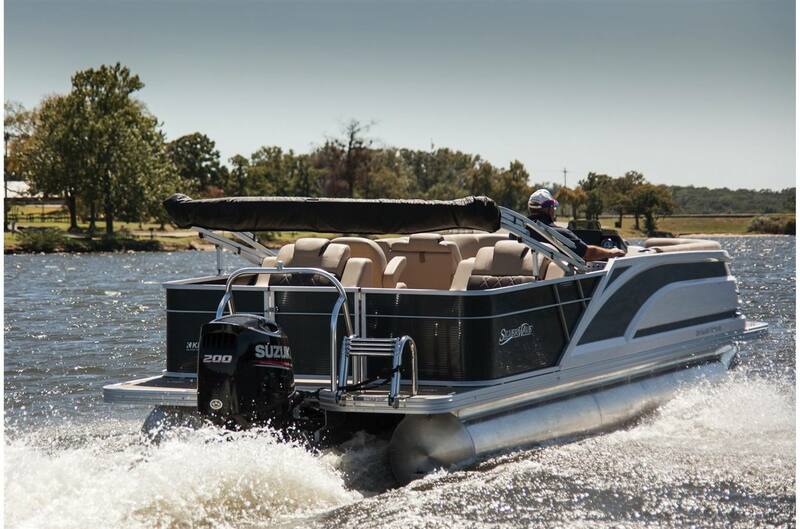 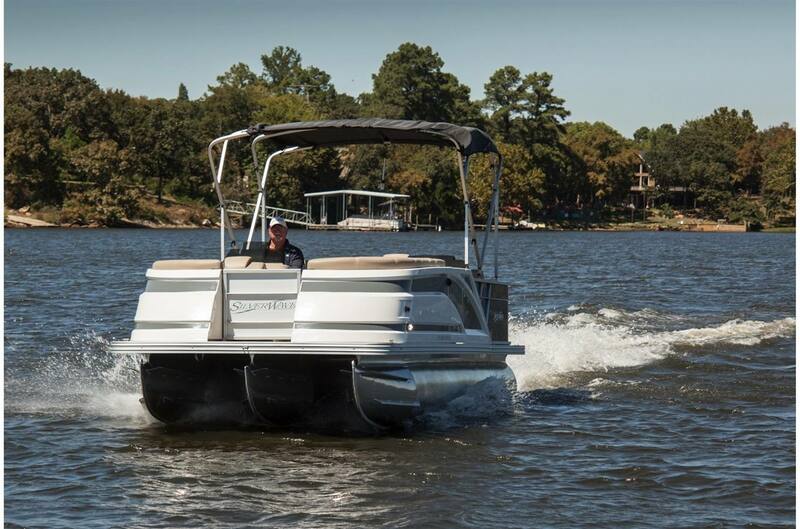 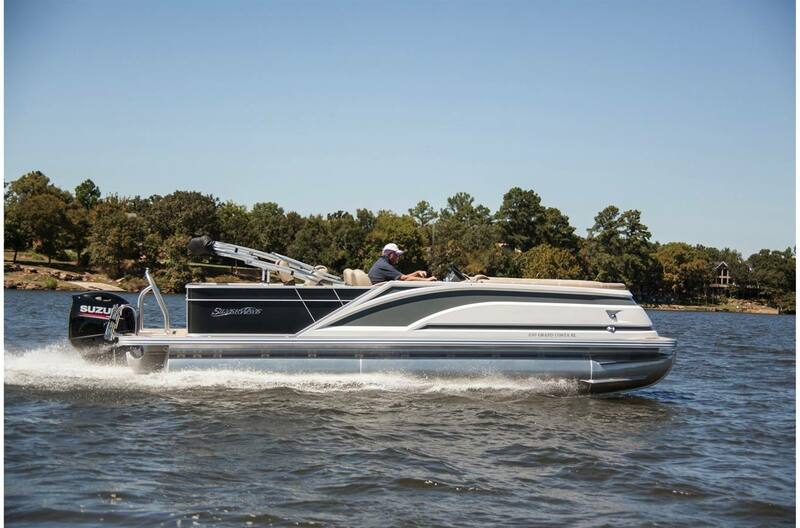 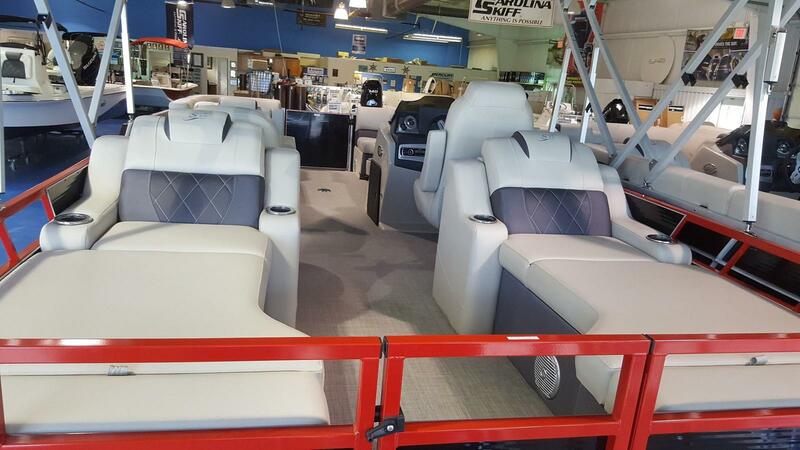 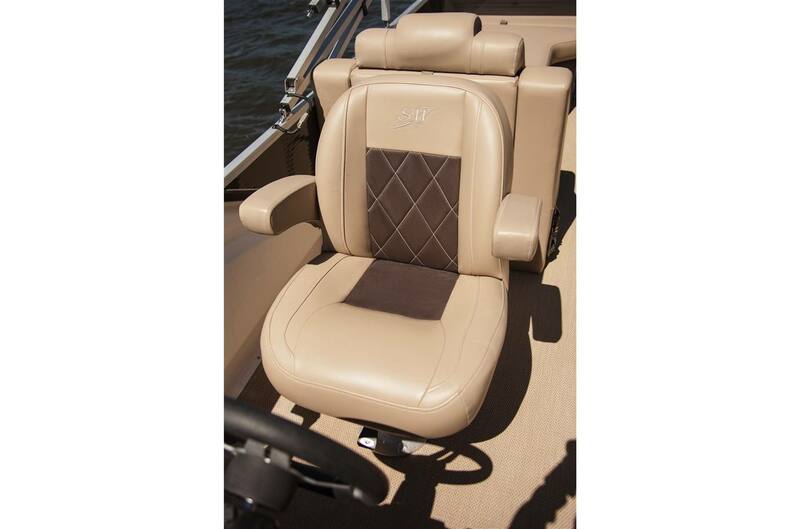 This pontoon is sold black without an accent stripe. 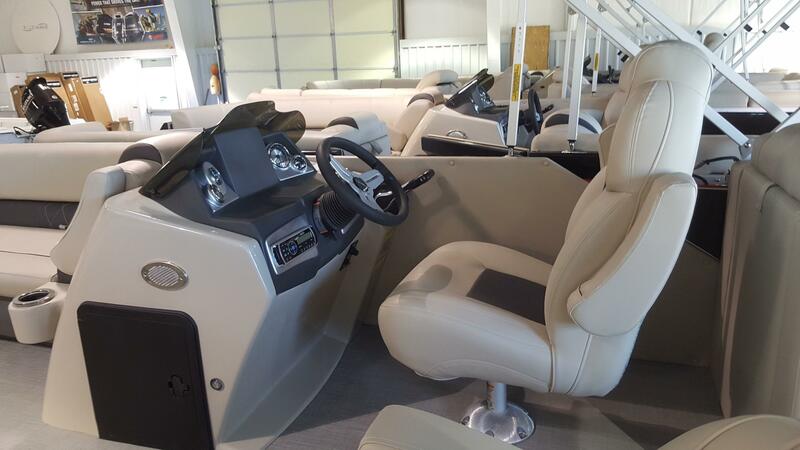 The rear lounge model is popular for couples and families of all ages! 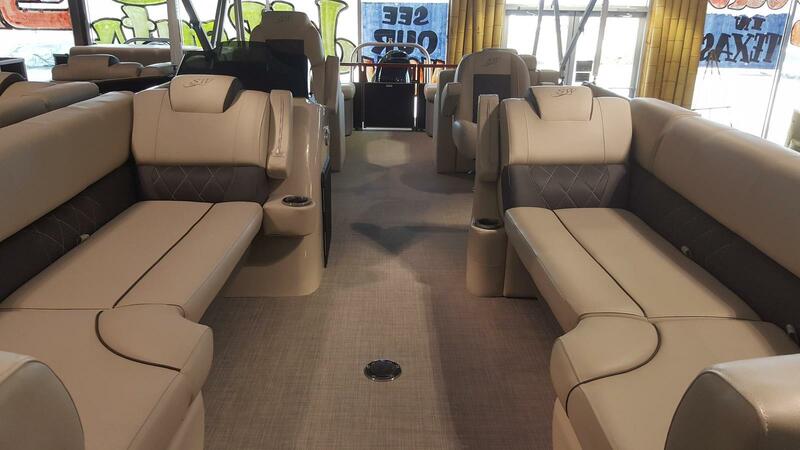 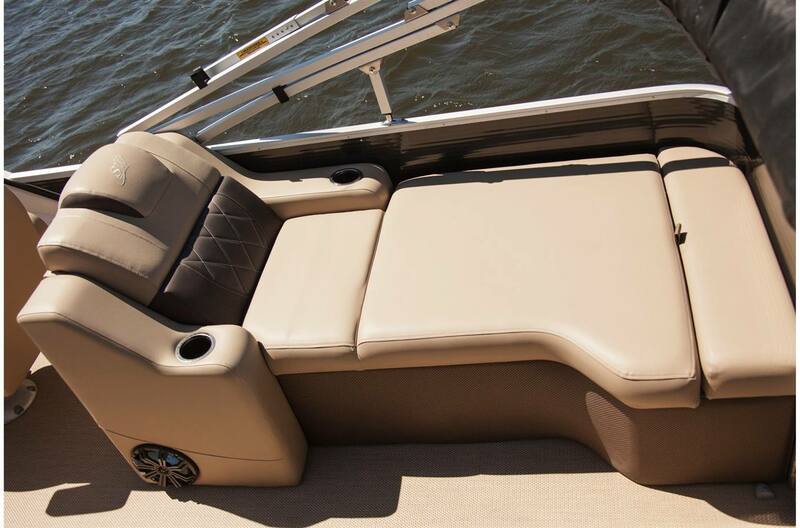 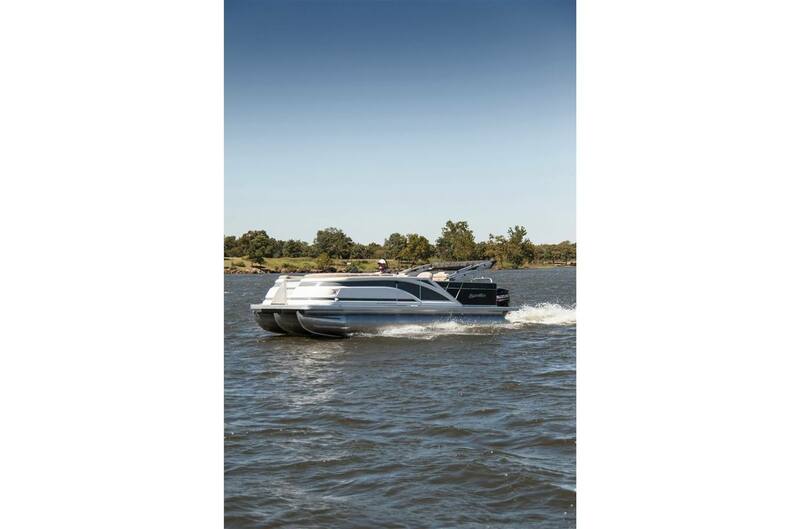 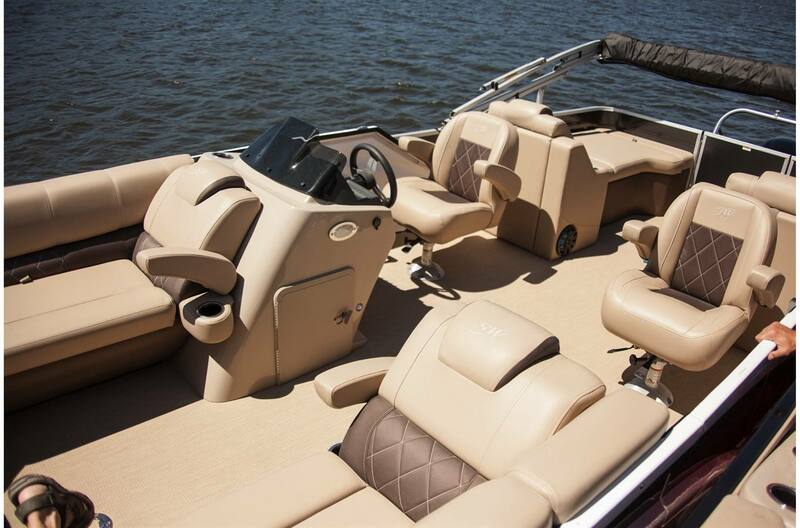 Rear facing chaise lounges are perfect for a sunset cruise, watersports, or sight seeing. 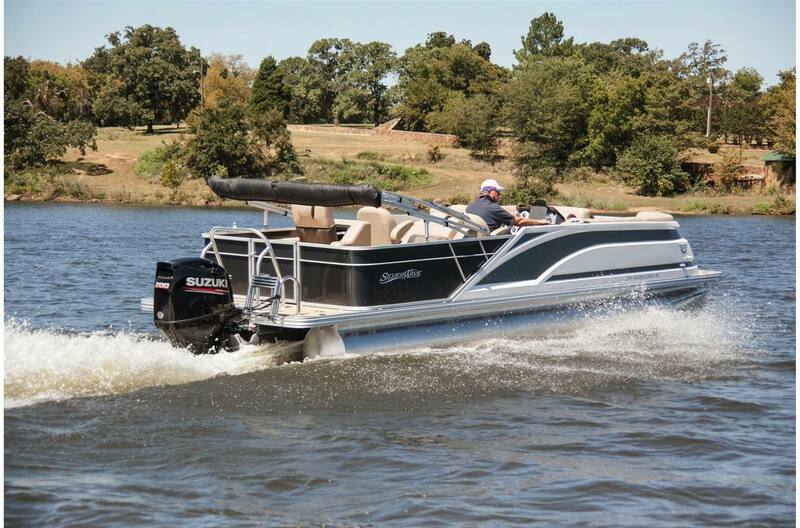 Length: 23 ft. 10 in. 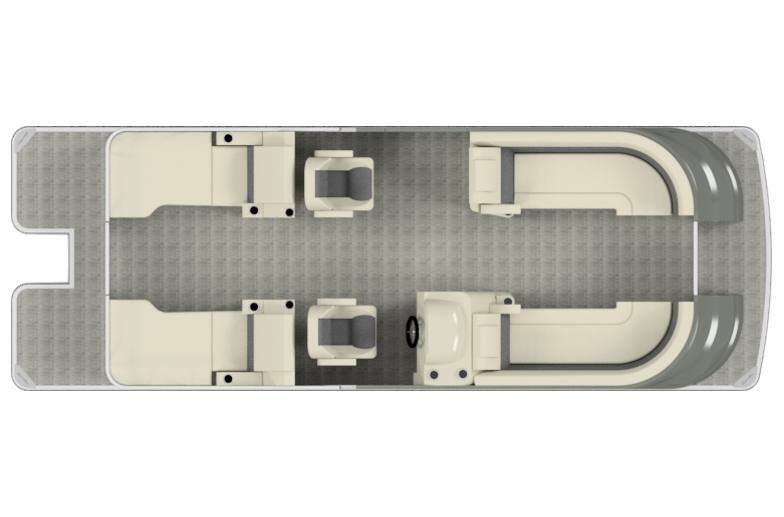 Some options may be shown. 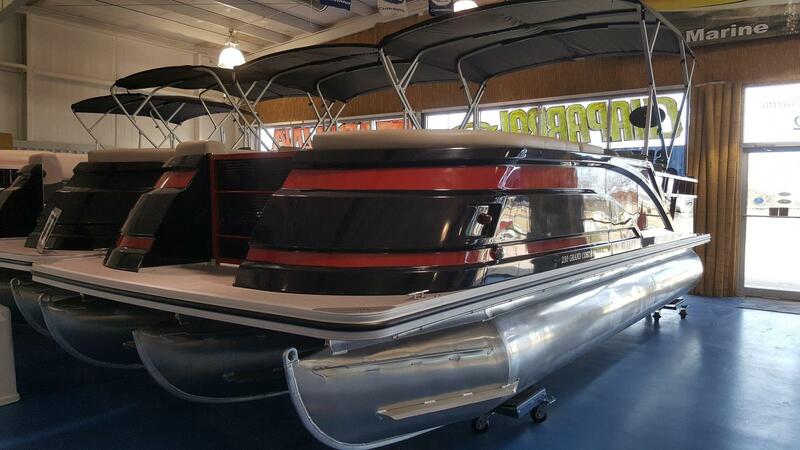 Not responsible for typographical errors or wrong listings.